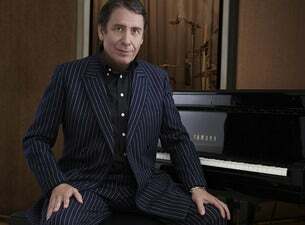 Jools Holland and his Rhythm and Blues Orchestra are a rhythm and blues band led by boogie-woogie pianist Jools Holland. Holland formed the band in 1994 and the current 20-piece band consists of piano, organ, drums, female vocals, electric guitar, bass guitar, alto saxophones, tenor saxophones, baritone saxophones, trumpets, and trombones. In 1973, at the age of 15, Holland was introduced to Glenn Tilbrook and Chris Difford; together they formed Squeeze, and shortly afterwards they were joined by Gilson Lavis – who still drums with Jools. Up The Junction and Cool For Cats gave Squeeze meteoric success and their popularity rapidly extended to America, where their tour included performances at New York's Madison Square Garden. In 1987, Jools formed The Jools Holland Big Band – comprising himself and Gilson Lavis. This has gradually metamorphosed into the current 20-piece orchestra. Jools Holland will return to the road in autumn 2019 with His Rhythm and Blues Orchestra for another incredible set of dates.